1312 President St Palatka, FL. 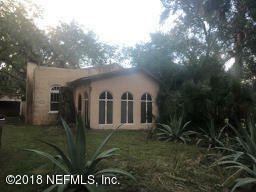 | MLS# 960750 | Modern Realty of Putnam Inc.
Charming bungalow in area of historic homes in the heart of Palatka. Shopping, Parks and the St. John's River for recreation are all minutes away. Large front porch is enclosed and screened porch in back. Small detached garage. Wood Floors, clawfoot tub in bath and other architectural details just add to the charm.